Dark Purple and Aqua, random card stock in my collection that I probably picked up at Jo-Anns. 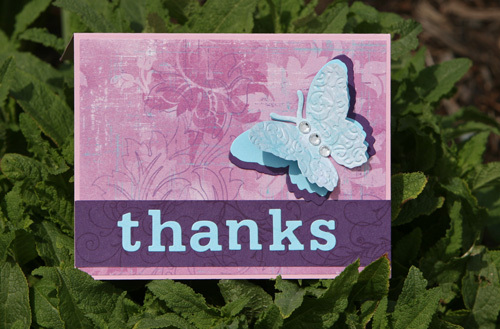 Dies: Cuttlebug Butterfly Die with accompanying embossing folder. Papertery Block Alphabet. Ink: Versamark watermark ink for swirls on dark purple card stock.